Cellulite Treatment in Sydney using HYPOXI is the first training concept to combine alternating high and low pressure with exercise to help target fat in those areas which just won’t budge. The simple 30 minute workout is safe, pain free and completely natural – helping your body to tap into stubborn fat stores while you work out. Before HYPOXI, no training method could be shown to reduce fat in targeted areas of the body. However, an independent study has shown that a HYPOXI workout is significantly superior to a conventional workout when it comes to targeting fat and cellulite in stubborn areas. In fact, HYPOXI Sydney has been hailed the “natural alternative to liposuction” by Oxygen magazine. 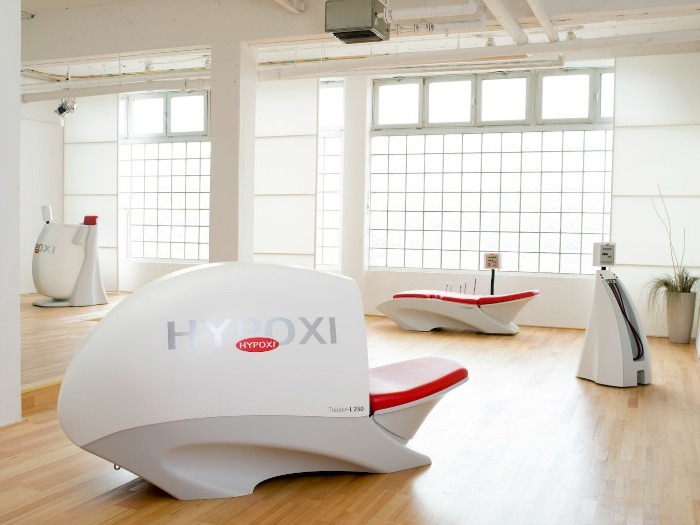 HYPOXI has exploded in Australia because it meets the demands of men and women looking to burn fat and reduce cellulite. Thousands of people are signing up to HYPOXI as an alternative to their gym membership as they can achieve significant results in a shorter time frame − all in the comfort of a boutique training environment. Hailed as the “lunch time body shrinker” by Cosmopolitan magazine, the easy 30-minute sessions will leave you feeling energized instead of exhausted! It is perfect for those people needing to kick start their weight loss journey or for those who exercise regularly but just cannot seem to shift the weight from their problem areas. In the mid 1990’s, an esteemed Austrian sport scientist, Dr. Norbert Egger was trialing vacuum technology to help facilitate his patients’ rehabilitation. He noticed that when combined with gentle exercise, patients received better recovery results and lost inches in areas that previously healthy diets and regular exercise couldn’t shift. As a physiologist, Egger knew that good circulation and exercise are critical to achieve weight loss in a specific area. With this knowledge in mind, he set out with a team of scientists and mechanical engineers to develop a revolutionary training device. The team believed in solid empirical evidence to prove their theories. So in 1998, Dr Egger undertook a landmark study testing HYPOXI with 530 women. The results were so profound that HYPOXI was launched into production that same year. HYPOXI products have proven so effective that the company now distributes to 40 countries across the globe – making the world’s leading supplier of vacuum technology based weight loss systems. Since its launch in Australia, HYPOXI has received acclaimed reviews by journalists across the country keen to put HYPOXI to the test. More importantly, HYPOXI has helped shape the lives of tens of thousands of Australians. If you would like to hear just a few of their stories, see our Real People, Real Results page.